so that explains the title. Also Canada day, 2.5 after 3 games, then heartbreaking defeat in round 4 and relatively quiet tie in round 5. The difference is that then it was U1800 and now – U2100, so there is a progress. Also, the background is different, I had my kid with me playing in U1500 section after 2 years break. Friday evening – we come early, she is nervous, I am not sure if she will play, finally we register. Round 1 – I get lower rated opponent, 1500+, I am worried how it will go with her and feel unusually nervous. He has White, plays Ruy and I decide to go for Marshall attack again, here is the game. Funny that openings of the first 2 games exactly repeated the last 2 games in the club in the reverse order, Marshall was last. OK, I get again unusual move, this time I do not screw up, get an OK position and then his looking active move drops a pawn in the center. 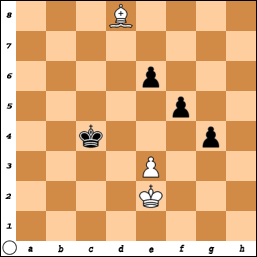 In a few moves – another mistake, allowing me to win a piece, but I don’t see it. Then I start to lose the initiative and finally make a bad move – 29… Bf2. I saw the discovered attack, of course, and Bc7, if I go Qb6, but after Be2, Rd2, Qb6 I forgot that there is still Bc7. I don’t see 31…Qc8 saving an exchange and lose it, feel terrible. At this point I am left for dead by Fritz with ~7.0 estimate, but I resist. Soon the guy goes for complications and suddenly he doesn’t make an intermediate check and looks in disbelieve how I take his rook. Now I have an extra piece and quickly start to move towards the end. Then I suddenly get into kind of trouble again, not playing exactly against his passer/s. So, couple of times he has an opportunity to draw, but he doesn’t see it. 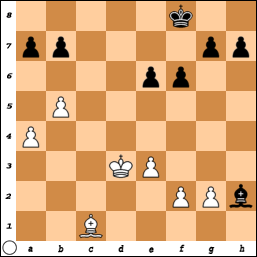 I finally find the only move – 62…f5, and despite getting a queen too and also having a passer on the 7th, he gets mated. I have White, my opponent is 100+ rated, he plays French, here is the game. I get the same Morozevich variation as in the club recently, but he doesn’t play g5. 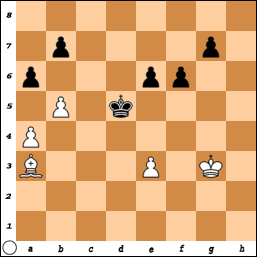 I am OK until move 17, when I miss a strike and lose a pawn. Soon I miss a possibility to at least equalize, when I do not exchange queens – second game in the row. Then on move 34 I sacrifice an exchange to break his pawns, expecting to get it back with a fork, but he pins my knight. I play 31. Qe2, both his rooks are hanging and he doesn’t find Rff5, or is afraid of pawn fork g4, which doesn’t work because the pawn can be pinned. He gives the exchange back, I try to hold the position, finally the game transforms into R vs. R endgame with him having extra pawn. I have huge advantage in time, he starts to play faster. At some moment, when that advantage already decreases, I offer him a draw, do not remember before or after winning an “h” pawn and getting 1 pawn each on different sides of the board. We advance our pawns supported by kings, when both our flags are in 9 o’clock position he suddenly agrees to a draw. The position is drawn, since both of us have to give up rooks for the passed pawns. I do not manage to eat anything, dealing with my kid after 5 hours of play. 3rd round starts as well as finishes a bit weirdly. On my table I see a plastic board with deep blue squares ( the standard, that is everywhere has green squares). I ask my opponent, if we can change, he is not very happy, I go to get a normal board, when I return, the board with green is already there – with the table number. So he covered it with his own. He ask, if his pieces will be OK, I say something if there are close to standard, luckily they are. He plays 1.d4, here is the game. After some maneuvering ( I manage to eat a half of sandwich and piece of chocolate meanwhile 🙂 ) he loses a pawn on move 18. I slowly regroup and develop attack on the kingside, using my pawn majority. 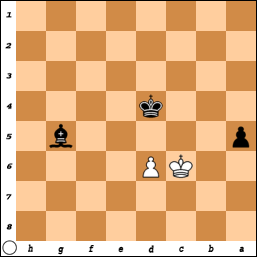 Then I play the wrong move, 36… f3, thinking the e3 is not possible and trying to destroy king’s pawn cover. I do not find the best moves, though eventually win a pawn, but then kind of lose initiative. finally I stabilize the position and feeling tired after 5+3 hours of play offer him a draw. He refuses, then follows almost forced exchange of the rooks. Defending from the check, I put my queen for exchange, after which the endgame with opposite colored bishops sure will be a draw. 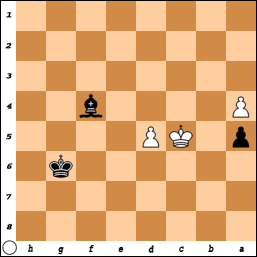 Suddenly he moves his pawn h4-h5, I take his queen. The game ends. I say “You should have taken a draw”, trying to sound sorry. Then I put the result into the table and go. The story continues on the next day, when before the last round TD comes to me and asks, if I have my score sheet from the 3rd round. I say, that it’s at home and that he dropped his queen. TD says something like OK and goes away. Not sure, or my opponent decided to change the result next morning ( I was late for the round 4), or somebody was wondering how the drawish game suddenly could be lost. I come having 2.5 out of 3 and high hopes for the prize. My opponent is a young guy, an expert. I learn the pairings at home, find that he plays Sicilian e6 and look up a line in DB with very good stats, never played it before. So, the game starts and we go along this line. It’s arguably the best game in tourney (first 25 moves) and definitely the worst (the rest), here it is. I have an expert, winner of this tournament with 4.5/5 on the ropes, I feel it, but I can’t find the decisive move(s) and go too far trying to break his defense. Then I see, but do not play the line that keeps it at least equal, get worse and under attack, realize that I most likely lost, get upset, play fast and blunder a pawn. Then all my exhaustion that for some reason didn’t fully showed yesterday gets me. I know I lost, so I play even faster and make the blunder, finishing the game. I don’t remember ever playing in such state, being so deeply disappointed and exhausted. The guy is nice and analyzes the game with me, showing me by the way that 28. Ne5 Qxd6 worked because of 29. Nxg6 . I spend some time before looking how my kid feeds the squirrel 500 m from the place, it relaxes me. My opponent again is a young guy, rated +100. He plays 1. e4 and I get Ruy again, this time exchange variation, here is the game. We exchange queens almost right away, it’s not against my plans and mood. I played this OTB only once against ~200 lower rated guy, won. A few online games showed me, that it is not easy to find right places for the black pieces, so I try to do that carefully. In about equal position he suddenly makes move 23. Nd2, that allows 23… Nb4 forking a2 and c2 pawns. I notice, that after c3 my knight not only can be stuck there but also can simply be lost. I decide (finally) that this is a critical moment and calculate for about 20 minutes, trying to figure it how to extract my knight. I see that support of the “‘c” pawn is crucial, calculate everything and then take on “a2”. He expects it, nodding. Everything goes according to the plan, except that he uses the tempos that I spend on my “a” operation to organize an attack on the kingside, using his pawn majority. I quickly realize the seriousness of the situation and start as at war to redeploy my pieces closer to the center of events. I see that at the moment I can’t advance my pawns on the queenside. My knight finally blocks the path of the pawn, I do not see any winning perspectives due to the perfect positioning of his pieces, “f” pawn looks dangerous and I go for 3-fold repetition. It seems like he doesn’t overestimate his position either as he starts to count the number of repetitions, then looks at me and understands my intentions. We agree to a draw. This guy is also nice, he offers to do a post-mortem, we go through the game, he praises some of my moves, I get confirmation to my thoughts that he was aiming for a classical endgame with his pawn majority. I ran several shootouts between Fritz and Rybka 22 starting from moves 24 and 29, they all finish in a draw. I think, this tournament really was a milestone. I got 7th place out of 21 and my rating went to 1900. I am satisfied with the result, but not with my play. It showed my weaknesses very well, the things that I must work on if I want to progress. 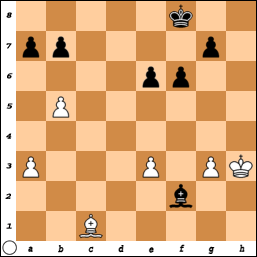 From the openings point of view it was very useful too – 2 Ruys, 1 Sicilian e6 and fashionable French variation.